Few people are born with perfect teeth. 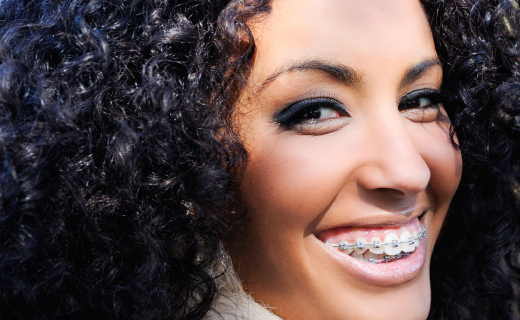 This is why braces have gotten so popular with every age, from kids to adults. Find the best orthodontist in Virginia and discover whether your dental problems can be straightened out with braces. Wires and brackets are attached to the teeth, which apply gentle pressure to straighten teeth, and move the teeth and jaw into correct alignment. Braces are also used for cosmetic reasons. Orthodontic treatment is provided by specialists called orthodontists. Your dentist can recommend the best orthodontist for your personal needs. Am I a Candidate for Braces? Braces can benefit anyone, at any time, for any number of reasons. But the best orthodontist experts recommend that treatment begin in childhood to address developing problems, as well as avoid later treatment. They recommend that children have an orthodontic evaluation as young as age of seven. Yet only a thorough evaluation by an orthodontist can determine whether braces are best for you or your family. Stage one focuses on the developing dental problems in children. This is called interceptive orthodontic and is best when performed at a young age because it can be easier to make permanent changes while teeth, jaws, and bone are still developing. The child’s conditions will determine whether braces are best at this time. Following this first phase, a resting period is essential to allow permanent teeth to fully emerge. Stage two begins around the ages of 12 or 13, when it is decided whether a child needs to get braces. If an orthodontist is first seen after this second phase, then care must be customized to meet the older patient’s needs and may include dental extractions to create space for teeth to be properly aligned. People can benefit from braces at any age. Find the best orthodontist in Virginia and discover the difference that braces can make for you.